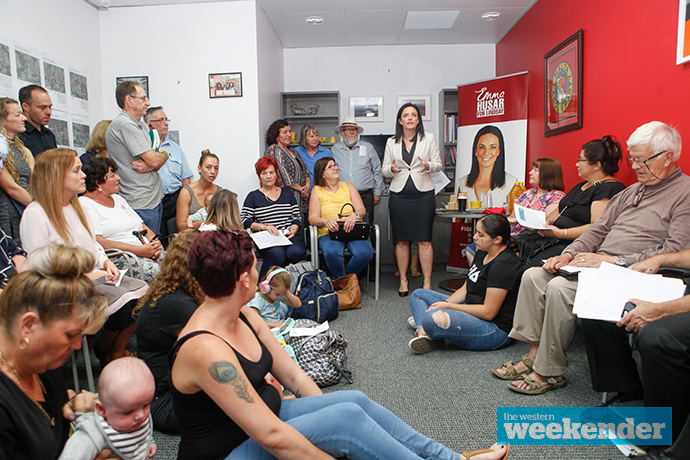 About 80 locals crammed their way into Federal MP Emma Husar’s office on Tuesday to share their frustration around the proposed Bells Line of Road – Castlereagh Corridor. Residents expressed the fear and anxiety they’ve felt since receiving an unexpected letter in March saying their property would be affected if the transport corridor was changed to the new proposed route. “All we’re asking the Government to do is keep their promise, and keep the 1951 corridor,” resident Patrick Serobian said. An emotional Karen Summut recounted buying her home in the area when she was 20-years-old. “We bought there not to make money, but to get married, have children and raise our children here. We love the lifestyle,” she said through tears. “To get that letter on March 26, it was like it was pulled out from underneath me. 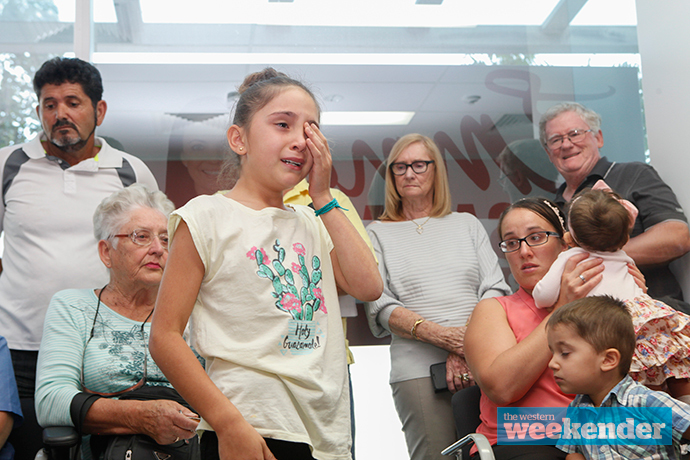 Dozens of similar stories of heartbreak and anxiety were shared as the community rallied together and vowed to fight the planned corridor, in the hope the proposal will not go ahead. “I am sorry for what you’re going through and I want you to know that me and my office are here to support you,” Ms Husar said. 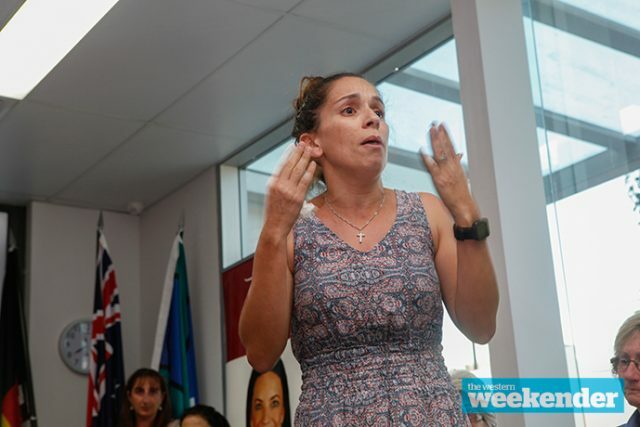 Labor’s State Candidate for Penrith Karen McKeown said changing the proposed corridor was the “dumbest decision” she had ever heard. “The 1951 corridor was the only piece of certainty we had with all the announcements,” she said. The new proposed corridor cuts through properties in Castlereagh, Cranebrook and Llandilo, blindsiding residents who bought property – some decades ago – believing they were clear of the original corridor. A small number of residents in Orchard Hills are also impacted by the proposed corridor of the North-South Rail Link. 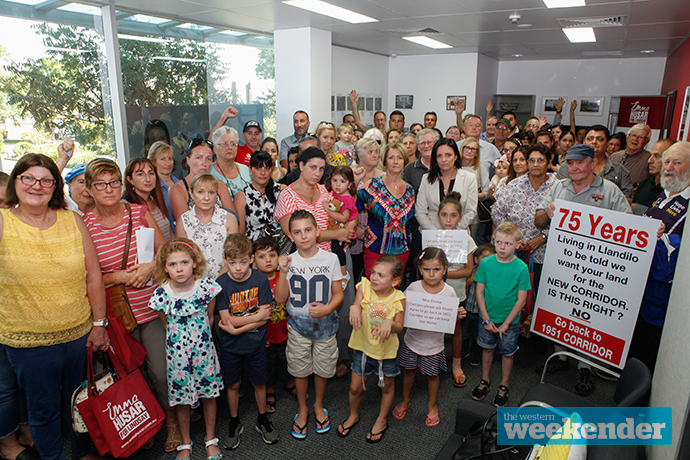 Last week, over 500 concerned residents crowded together in Cranebrook to stand in solidarity against the proposed changes to the corridors. “The State Government has arrogantly changed a corridor that has existed since 1951 and put it straight through people’s homes,” Londonderry MP Prue Car said. Penrith MP Stuart Ayres said consultation, which is currently underway, is about “making sure we get the corridors right”. “This is the first time any government has consulted in detail on future western Sydney transport corridors since 1951,” he said. 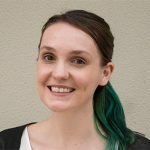 “There has been strong feedback from the community in the Castlereagh area that they prefer the original corridor over the new corridor proposed by Transport for NSW. The consultation period has been extended and feedback will be received until June 1. Visit www.transport.nsw.gov.au/corridors/blor for more information.